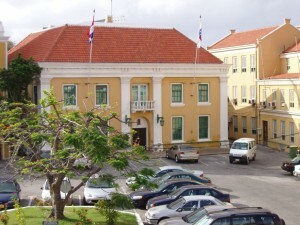 WILLEMSTAD - The government of Rhuggenaath wants to adjust the mandate of the Court of Auditors so that government companies can also be investigated and audited. Yesterday, the same government also withdrew a cassation case to investigate the telecommunication company UTS. According to Minister Zita Jesus-Leito the reason for the withdrawal is because the government is looking for a structural solution and not one through the legal road. UTS refused to cooperate with an audit executed by the Court of Auditors and requested by the Parliament of Curaçao. The Court of Justice agreed twice with UTS on this issue. The cassation case had already been accepted by the Supreme Court in the Netherlands when the government withdrew.